The United States Government and Texas Government buys all kinds of goods and services in order to carry out their respective governmental functions. Contracts with the government are governed by specialized procurement regulations. Anyone contracting with the government must ensure that the agency or individuals have been empowered with the requisite contracting authority to legally bind the government . Contracting powers are of the utmost importance when negotiating a government contracts. Government Contractors must make sure the contracting officer has the power to bind the government for the type of services , supplies, equipment and goods being acquisitioned. Under FAR government contractors must maintain an appropriate accounting system that is subject to government audits which allows for the proper identification, accumulation and tracking of costs. Direct costs and indirect costs charged to government contracts must be certified by government contractors under the laws of perjury. All public contract costs must be reasonable, allowable and properly allocable to the government contract. 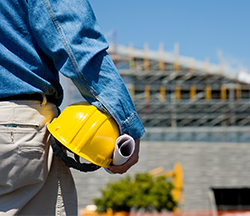 Contractors who fail to properly allocate costs could suffer lost of their contract profits, be subjected to civil fines, be subjected to disbarment, and possibly criminal prosecution. Government contracts with Texas and its agencies are governed by Texas Government Code. The Code maintains the doctrine of sovereign immunity from suit in breach of contract claims against the State of Texas but provides an administrative process to resolve government contract disputes. Contractors and subcontractors doing business with the State of Texas must comply with these rules and regulations in contract negotiation, formation, performance, payment, termination and other contract disputes with the State of Texas or any of its agencies. The government contractor bears the burden of proving government defects, delays and cost overruns establishing an equitable adjustment. Contractors must properly document, evaluate and frame government contract equitable adjustment claims. Equitable adjustment disputes, if at all possible, should be resolved at the Contracting Officer level. The contractor is more likely to maintain its business relationship. Administrative agency resolution of equitable adjustment claims must be thoroughly pursued as a condition to filing an equitable adjustment claim in the proper federal court for claim against the U.S. government, or proper state court against the State of Texas. The experienced government contract lawyer at Coleman Jackson, P.C. can assist in evaluating, documenting, presenting, and advise government contractor's with respect to cost benefit in litigating equitable price adjustments and other government contract disputes before administrative boards of appeal and before other judicial bodies. Government Contracts Dispute at your business, contact the Government Contracts Lawyer at Coleman Jackson, P.C. at 214-599-0431.